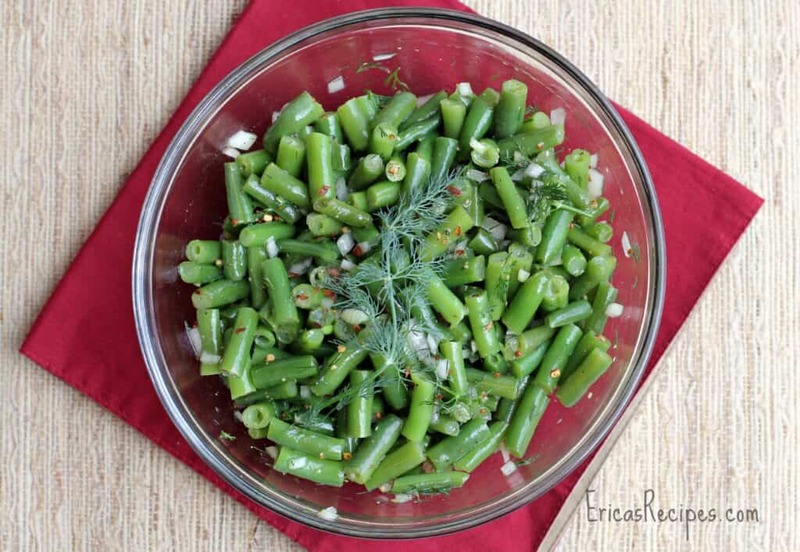 With dill and tangy vinaigrette, this super easy and flavorful, make-ahead German Green Bean Salad with Dill is a perfect side dish for your holiday table. 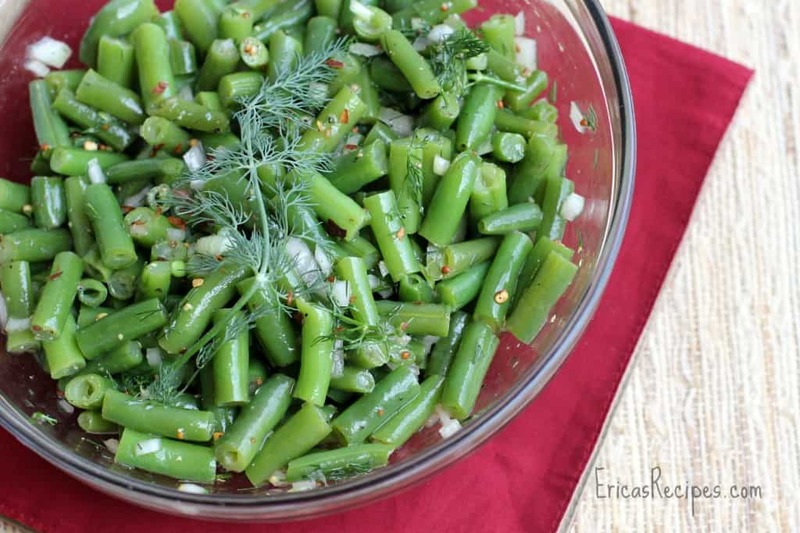 This lovely, delicious, and super easy German Green Bean Salad with Dill will grace our German-themed holiday buffet tomorrow including brats, Braised Red Cabbage, and a Bavarian Banana Tart. My husband has requested a German Christmas, and this salad will give our German spread some green. And by using frozen vegetables, blanching the beans is not necessary, making this even easier to prepare. In a medium bowl, whisk together all ingredients except the green beans. Toss in the green beans and refrigerate overnight. Allow to come to room temperature before serving. Serves 6. I found this on Pinterest. Looks like the perfect holiday side dish.